We don't blame them, TBH. You stars Penn Badgley.and Shay Mitchell are currently in Manila for the show's international tour! 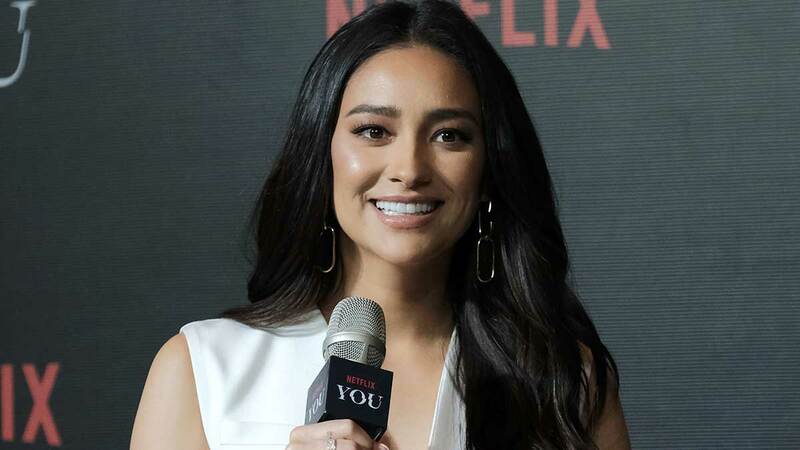 Cosmopolitan got the chance to talk with Shay during a roundtable interview with the press and we asked her about her favorite behind-the-scenes moments while shooting the series. "I think the fact that the other girls are obsessed with Broadway and musical theater and Penn and I, not so much." Shay shared. "My second cousin is Lea [Salonga], but I don't share the same talent and voice as she does. So, one of the funny moments was when they [her co-stars] all found out and were like, 'That's your cousin?!'" Yes, ICYMI, Shay is related to the Filipina Broadway star! "She's always been very supportive," Shay said about Lea in a 2014 interview with GMA. "And whenever we go and watch one of her shows, she always does a special 'hello' for all of our family that's sitting in the front row." Anyway, back to You. We honestly don't blame her co-stars for freaking out, and it's adorable how Shay was so ~chill~ about it! "Penn and I would always just be so funny on set, like," at this point, Shay started to sing, "'I am Penn, how are you? Shay I'm great, you too.' Like, we would joke around...It's funny! We would have the best time on set because the others would always be talking about a new musical that they just saw and Penn and I would just be [looking at each other]." We are so obsessed with the adorable 'ship these two stars have! During our interview with Penn, he even gushed, "I just really love Shay." So BRB, just visualizing Penn and Shay singing together on set! What a lovely picture.